An impressive all-star line-up of 24 top names in the Scottish traditional music industry will come together at Oban Live 2018 in an exclusive collaboration named ‘Sons of Argyll’. Performing on Friday June 8 at the two-day festival, the project will pay homage to late inspirational figures from the region that played a key role in the lives and music of the performers involved. Musicians from Tide Lines, Skipinnish, Skerryvore, Blazin’ Fiddles, Trail West and Gunna Sound, as well as this year’s Mòd Gold Medallists, Rachel Walker and Alasdair Currie, members of Oban Gaelic Choir and world class pipers, Angus MacColl, Angus J MacColl and Stuart Liddell, are included in the project line-up. Also involved are Marie Fielding, Phil Cunningham, Craig & Hector MacFadyen, Sileas Sinclair, Mary Catherine MacNeil and Archie & Alex McAllister. 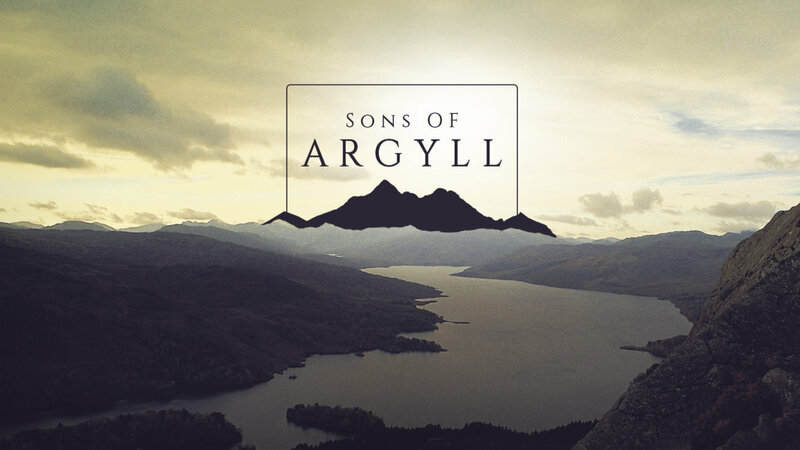 Sons of Argyll, which is founded and co-ordinated by Trail West’s Ian Smith, pays particular tribute to the recently passed Norman MacLean (Tiree/Uist), Ian’s father Bernie Smith (Tiree), Murdo MacLeod (Lochgilphead), Angus MacColl (Mull), Nonny MacInnes (Oban), Colin Campbell (Oban), Calum MacLean (Tobermory) and many more. Women of Argyll will be honoured too in a performance of Andy M Stewart’s song Queen of Argyll, performed by former member of Silly Wizard, Phil Cunningham and Tide Lines’ Robert Robertson. The project will also remember ex-service men and women, as 2018 marks 100 years since the end of WW1, and those lost at sea. Along with Sons of Argyll, more acts have been announced for Oban Live 2018’s overall line-up. Widely respected and deeply talented Irish musician Sharon Shannon, featuring multi-instrumentalist and composer Michael McGoldrick and Irish singer/songwriter Susan O’Neill, Irish duo Hudson Taylor and local Oban band Chunks join the exciting list of artists confirmed for Oban Live 2018. More acts will be announced at a later date. Oban Live is Argyll’s biggest outdoor live music festival and takes place this year on Friday June 8 and Saturday June 9 at Oban’s Mossfield Stadium. It won best Outdoor Event/Festival Excellence at EventIt’s E Awards in Glasgow last week. This will be the event’s third year running, historically entertaining around 7,800 attendees over the weekend and bringing in £1.39million to the local rural economy. The latest line-up additions will join Skerryvore, Skipinnish, Hermitage Green, Heron Valley, Blazin’ Fiddles and Oban High School Pipe Band with even more acts still to be announced. Oban Live 2018 is supported by BID4Oban and EventScotland, part of VisitScotland’s Events Directorate. Tickets are on sale now at www.obanlive.com. “Widely respected and deeply talented” Irish musician, Sharon Shannon is an accordion and fiddle player who is not shy of fusing her Irish music roots with all sorts of different styles, from reggae to country. While she is known for her arrangements of traditional Irish tunes and Irish-influenced compositions, she has always been eager to explore new styles from around the world, and to meet and work with other musicians. Sharon will be joined on-stage by talented instrumentalist, flautist, whistle player, uilleann piper and composer Michael McGoldrick and Irish singer/songwriter Susan O’Neill. Irish duo, Hudson Taylor released their long-awaited debut album “Singing for strangers” in 2015. The multi-instrumentalists honed their craft busking on the streets of their hometown of Dublin as well as all over Europe and in fact gained the albums name from their love of entertaining anyone who would stop and listen. Having spent the majority of 2017 recording their next album and touring – they have just released their brand their EP “Feel it again” and are just back from touring the US having already completed a sold out European and UK tour earlier in the year. Summer of 2018 will be spent doing festivals all over Europe and the UK and Ireland. Celebrating their 20th year in 2018, Chunks are a three-piece band from Oban, hugely popular in the local area as well as playing all over Scotland and beyond. The three members are lifelong pals and have been playing in bands together since high school. They perform regularly at festivals on the west coast and the islands and Oban Live will be a highlight of their anniversary year.